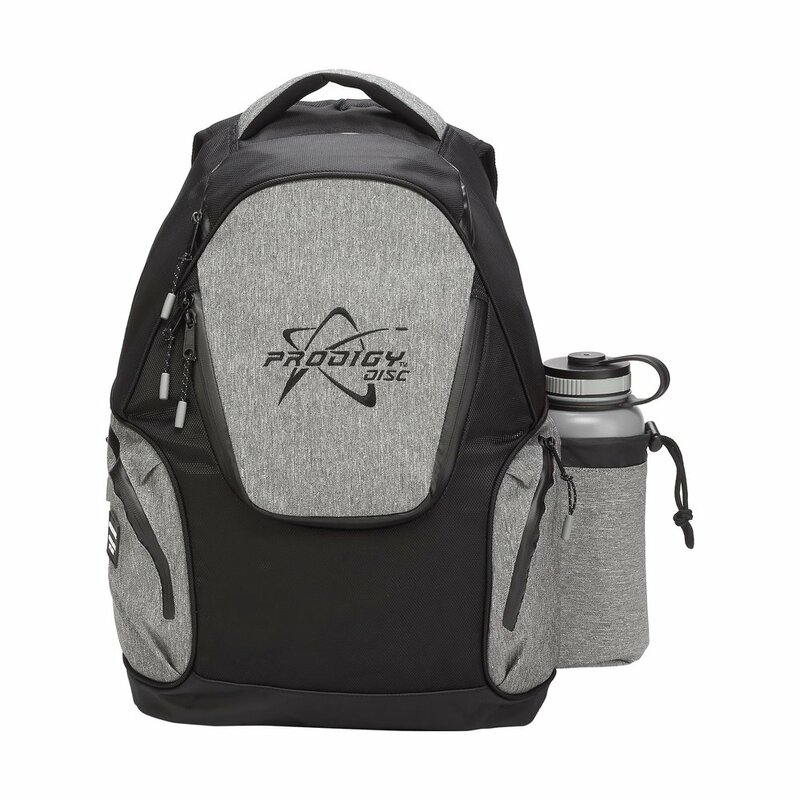 The Prodigy Disc BP-3 V2 Backpack is the evolution of our popular lightweight and compact disc golf bag, the BP-3. The BP-3 V2 keeps the core features of the previous version while offering significant improvements to continue raising the bar of performance. The BP-3 V2 holds up to 17 discs in its main compartment and offers a deep putter pocket, adjustable 32 oz bottle holder, and two side zipper pockets for valuables. The straps have been completely redesigned and reinforced with extra padding. Additional padding has been added to the back of the bag to make this bag comfortable throughout your entire round. The BP-3 V2 features more durable and waterproof bottom panel to keep the bottom of your bag protected from wet and dirty conditions. The zippers have received an upgrade with new zipper pulls and taped seams to keep your compartments dry. A new two-toned color array and rubber branding patches add a clean, modern look. The BP-3 V2 remains a great, versatile bag at an unbeatable price that is perfect for beginners or more avid, professional players looking for a smaller, more compact option.